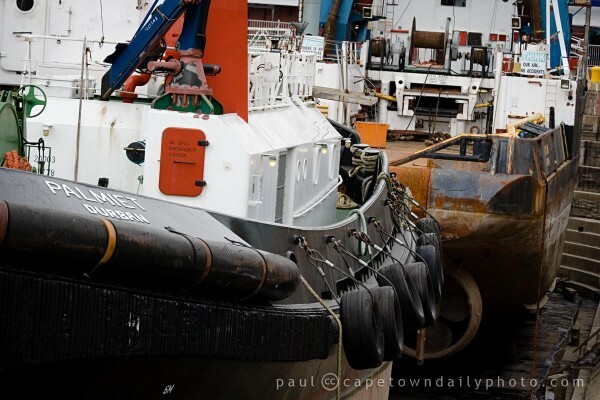 The Andromeda is a commercial fishing vessel, moored in a slightly unusual spot, close to the aquarium. My guess is that fish are scarce and the crew have taken to visiting the aquarium to fill their quota. But, that's only a guess. 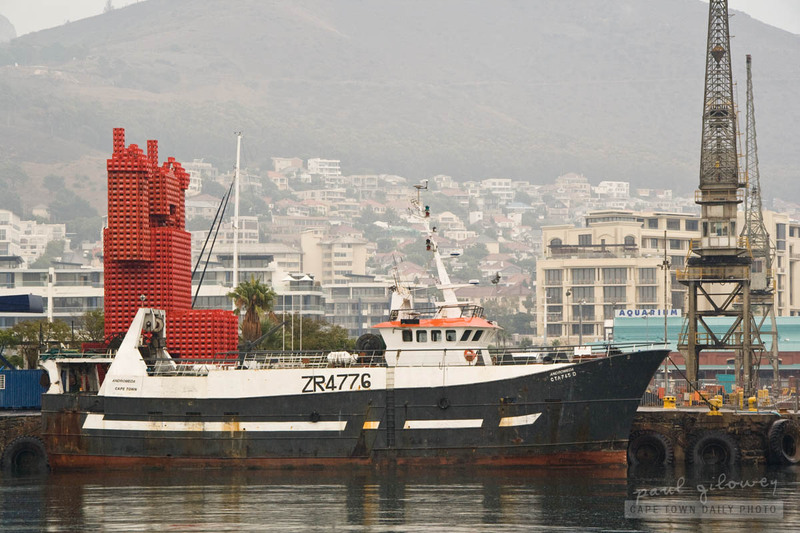 South Africa has a fairly long coastline of 2798km, so isn't it astounding that about 20% of our coastal areas have been declared MPAs (Marine Protected Areas) - stretches of cost where commercial fishing has been banned? Posted in General and tagged boat, crane, harbour, v&a waterfront on Monday, 9 May, 2011 by Paul. 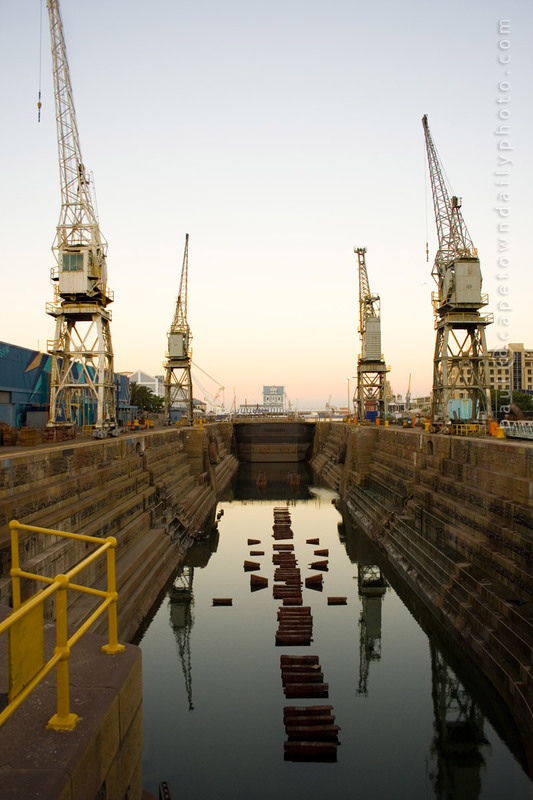 I posted a close-up photo of the Robinson Drydock filled with boats once. So, when I passed by and saw that she was empty, and since the ambient light was so exquisite, there was no question, I had to take a moment to capture this photo. This photo was taken from the other side. The Pumphouse, mentioned in this post, is also on the other side, but off to the left of this shot. This is really a beautiful time of the year to be in Cape Town, wouldn't you agree? Posted in General and tagged crane, harbour, v&a waterfront on Sunday, 10 January, 2010 by Paul.